Please contact Charlotte Friedman on 020 7 483 1378. Divorce Support Group BBC Breakfast. Watch Charlotte Friedman talk about divorce, law and emotional support. Charlotte Friedman, founder of Divorce support group, was recently a featured guest on Cardiff Radio. 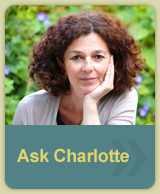 Charlotte answered many questions and really enjoyed the experience. Below are links to recent articles about Divorce Support Group. as they are published – check this page regularly for the latest news.